Try a Doidy Bowl for free! Try for free a DOIDY Bowl! The Doidy Bowl features the unique slanted design and a suction pad to help babies and infants learn to feed themselves with ease! Doidy Bowl is designed to help develop motor skills with a slanted high lip on one side to allow infants to scoop the food up and load more easily onto a spoon making it perfect for finger foods, purees or soups. 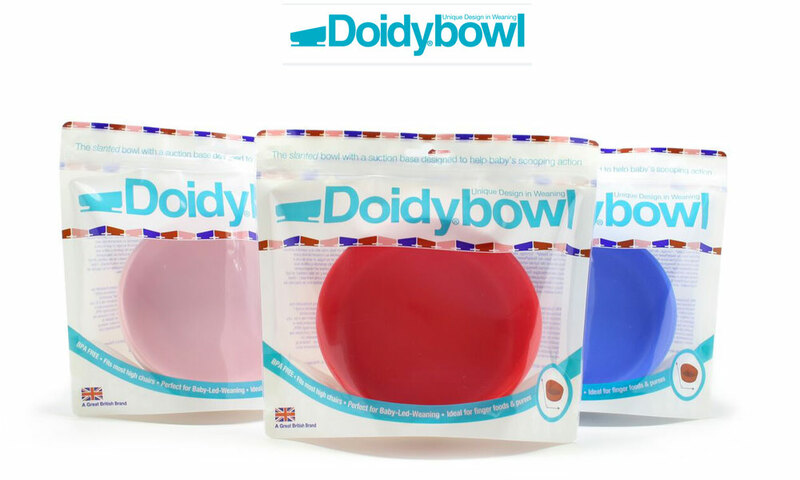 Doidy Bowl is made from food grade silicone and is soft and pliable. Colours available: Blue, Pink or Red.